A part of the Los Angeles community since 1964, the LAcarGUY family hasn’t forgotten its roots. Community involvement is still a priority over 50 years later. We are committed to a variety of community organizations, including Heal the Bay, and environmental stewardship. As one of the top hybrid dealers in the world, our dealership is committed to a greener future in an environmentally challenged industry. We believe in more than just selling cars – we are proudly a part of the Los Angeles and Santa Monica Community. 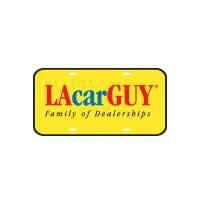 Learn more about LAcarGUY in the Community below, and then get in touch with us or one of our dealerships. As a long-standing member of the Los Angeles community, LAcarGUY has been involved with many organizations over the years. Our dealership has supported McKinley Elementary School’s art program and has donated funds to a variety of charitable organizations such as Cystic Fibrosis, Big Brothers Big Sisters, and Richstone family center. We value each and every member of our community, and we give back in any way that we can. In addition to these efforts, we are also proud to support cultural events like the Santa Monica Pier Twilight Dance Series, Manhattan Beach Pumpkin Race, and Hermosa Beach Music Festival. LAcarGUY is constantly looking for new ways to help out or fellow community members. For over 25 years, LAcarGUY has been a partner of Heal the Bay. 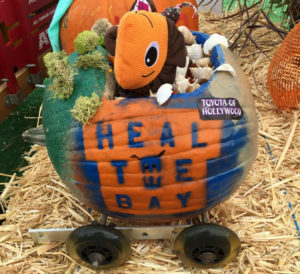 Heal the Bay is an environmental nonprofit organization that strives to make the coastal waters of the greater Los Angeles area safe, healthy, and clean. This organization is tied to a long list of interactive programs in which LAcarGUY has supported, including funding field trips to the Santa Monica Aquarium, sponsoring the Heal the Bay Beach Report Card, volunteering and setting records at the annual Coastal Clean Up, and sponsoring the “Bring Back the Beach” gala annually in Santa Monica. Mike Sullivan, the titular ‘LAcarGUY,’ has been a board member of Heal the Bay for 15-plus years, and he’s fully committed to this continuing relationship. LAcarGUY is about more than just selling cars – we’re committed to changing an environmentally challenged industry and protecting future generations. LAcarGUY is active in a number of local environmental programs, and we were the first automative dealer in the country to offer public electric charging stations at its dealerships. LAcarGUY is serious about bettering the environment – in 2010, LAcarGUY created the Manager of the Environment position. 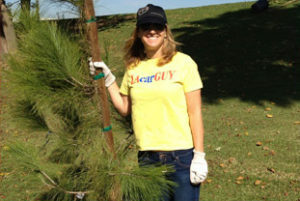 The Manager of Environment works to reduce LAcarGUY’s carbon footprint and educate employees. Mike Sullivan was also a proud recipient of the prestigious Dorothy Green Award for Environmental Stewardship in 2014. Mike Sullivan and his team are constantly working toward bettering the environment by educating themselves and their community about a greener automotive industry. In 2010, LAcarGUY introduced LAcarGuy/green, where you can go to view our green inventory as well as updates on green technology and our sustainability efforts. As a leader in green vehicle sales, we are dedicated to educating and informing the Los Angeles and Santa Monica community about green auto technology and products. Our mission is to help people buy the ideal car for both themselves and the planet. We want all of our customers to learn about the cutting edge of green and hybrid technology so that they can make the best decisions for their lifestyle and their planet. Visit LAcarGuy/green to learn more about energy and water conversation in the auto industry, our internal recycling efforts, our EV charging station network, and more. In January of 2010, LAcarGUY created an internal “Green Team” to encourage and educate its 800+ employees about reducing both our individual and corporate carbon footprint. Green Team members work to ensure that our eco-policies are followed in each of our dealerships by presenting and discussing ideas at monthly green team meetings. The Green Team is committed to community involvement and dedicated to making LAcarGUY a greener dealership every single day. LAcarGuy is dedicated to educating community members about various community causes and charity organizations as well as environmental stewardship. If you have any questions about how you can get involved in the Los Angeles and Santa Monica community, or want to learn how to do your part to make the automotive industry more green, feel free to contact us today. You can give us a call at (888) 965-4998, or even visit us at one of our dealerships to have a chat in person. We look forward to working with our fellow community members to better both our community and the environment!